Enjoy your new favorite desk mate as he helpfully provides the date, perpetually! Month, Date and Day of Week adjusted manually. 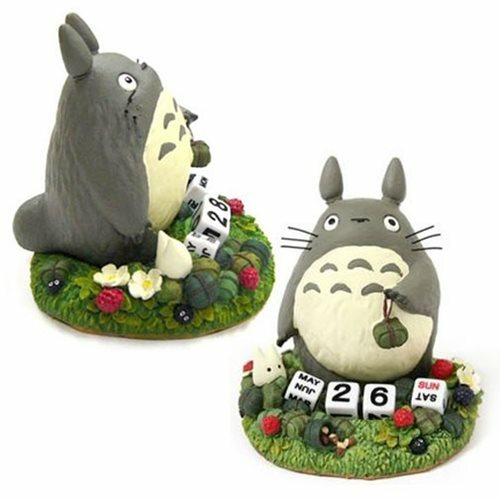 Now, you and the main dude from Studio Ghibli and Hayao Miyazaki's My Neighbor Totoro can hang out forever! Ages 15 and up.